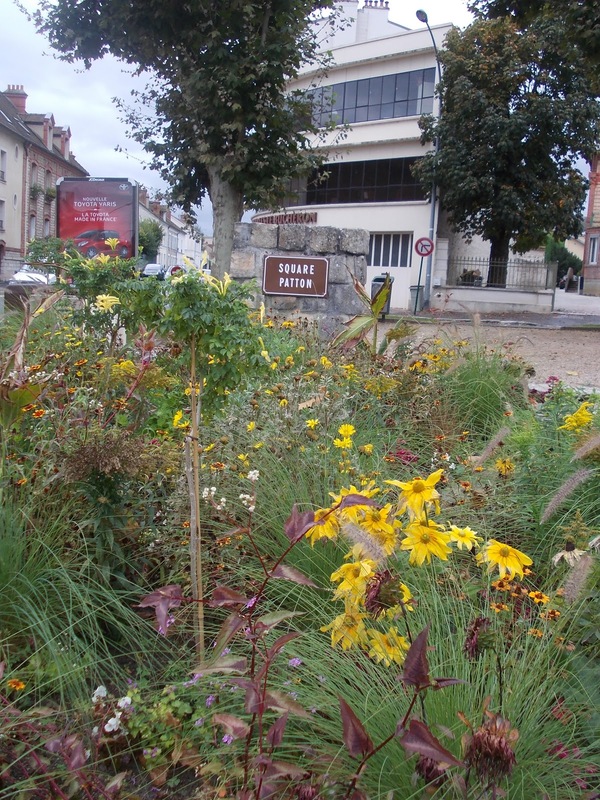 This small floral park called Square Patton, along a main stretch in Fontainebleau, honors the legendary Général Georges Patton, Jr. 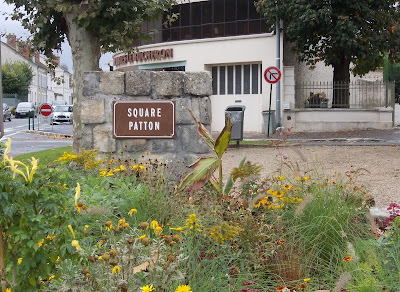 This plaque below is on the back side of the wall with the brown sign, above. 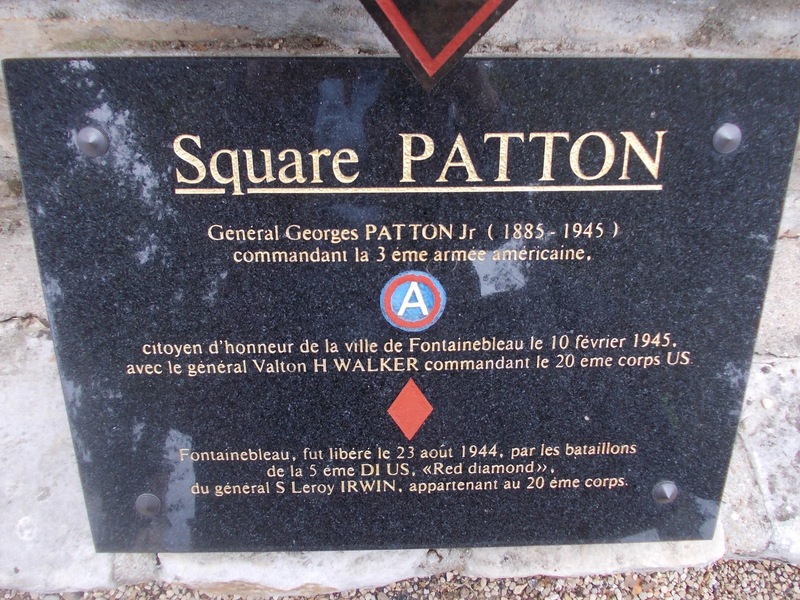 A brief translation: Patton was named an honorary citizen on February 10, 1945 along with General Valton <Walton> H. Walker, the commander of the 20th Corps. 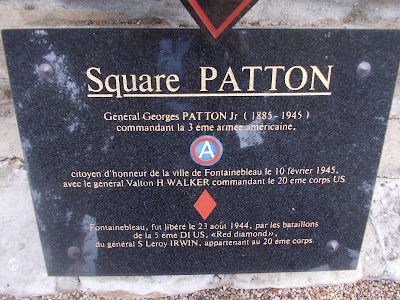 Fontainebleau was liberated on August 23, 1944 by the 5th Batallion of the Red Diamond Division under General S. Leroy Irwin, which belonged to the 20th Corps.